My little girl and I just returned from a four-day visit to my parents' house. My mom and I share a passion for food and eating out at restaurants. She is always happy to have companions for restaurant meals. We headed into the town of Dunnville not once, but twice to eat at The Minga, a vegetarian cafe. 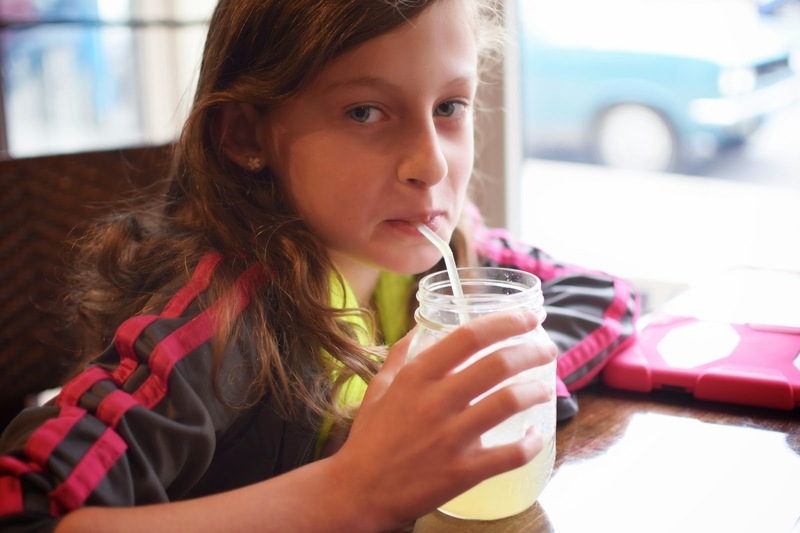 Here's my daughter enjoying a fresh-made lemonade. I had this vegan Thai peanut slaw wrap one day and a quinoa and roasted veggie wrap the other day. I also spent some time working alone on my laptop at The Minga. 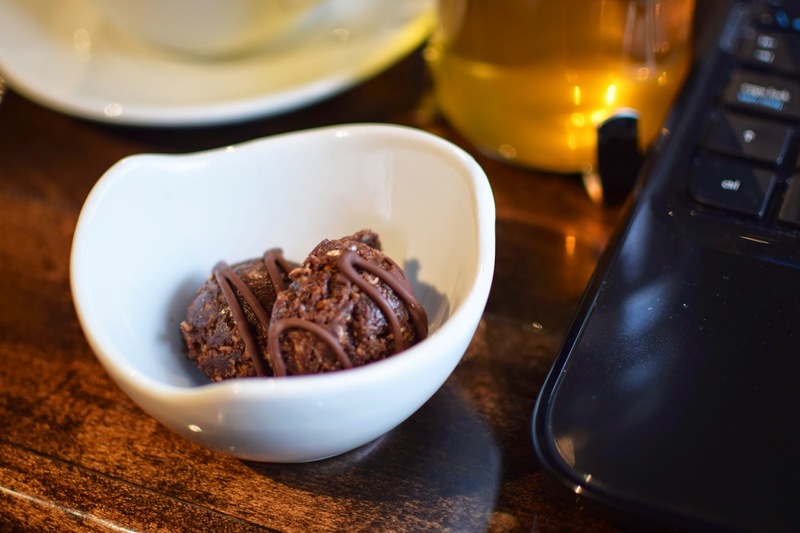 I bought these chocolate protein bites and green tea to fuel my writing one day. I had my fave peanut butter protein bites another day. The three of us also headed to the lakeside town of Port Dover, Ontario one day. My mom wanted to take me out for a birthday lunch. There was a summer festival going on in town. I bought a cute bracelet for my daughter and the sellers advised us to go to Lee's Garden Restaurant, a new Chinese restaurant in town. We were glad we did. The food was yummy and the staff was very accommodating about creating vegetarian entrees. We had this delicious tofu and veggie dish, above. 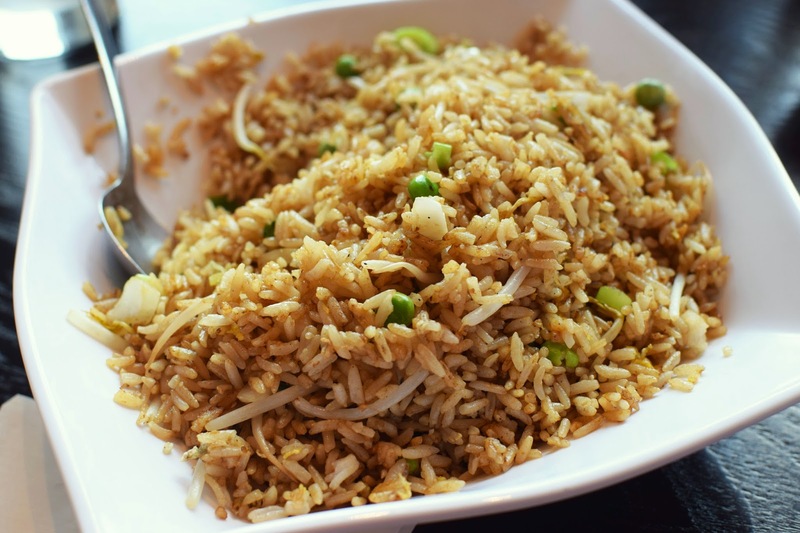 And I can't get Chinese food without getting vegetable fried rice. 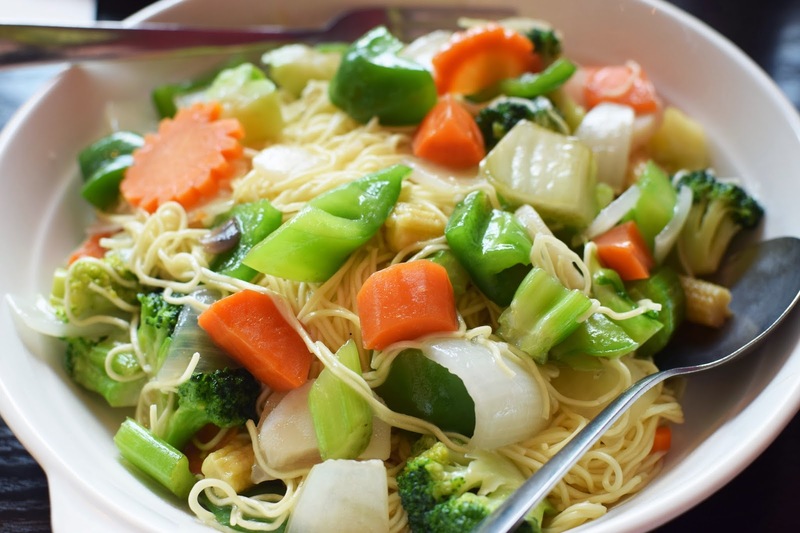 And vegetable lo mein. All of the food was fresh and not too heavily seasoned. On our way back from my parents' place, my gal and I stopped off at Kelly's Bake Shoppe in Burlington. I had been hearing rave reviews about this vegan and gluten-free bakery. They have a range of cookies, cupcakes, cake pops, scones, brownies and more - all vegan and gluten free! 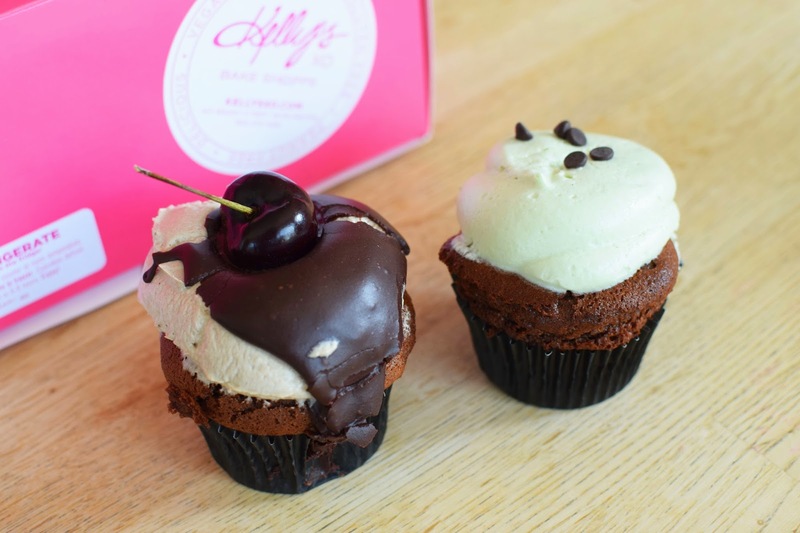 My daughter chose a chocolate mint cupcake for herself and the bakery's new root beer float cupcake for her brother. We also got a Mexican chocolate cupcake for Dad and a mile high brownie for me. All of it was slightly melted when we got home and my photo of the brownie didn't do it justice, so I haven't included it here. The kids gobbled down their cupcakes pretty quickly. I took a smidge off the end of my brownie and decided to save the rest for a relaxing moment later in the evening. The brownie was delicious and chocolaty with no gluten-free "after-taste." Now here are some random shots of food I have enjoyed at home. I picked up a jar of mushroom bruschetta and some Italian bread from a local bakery. 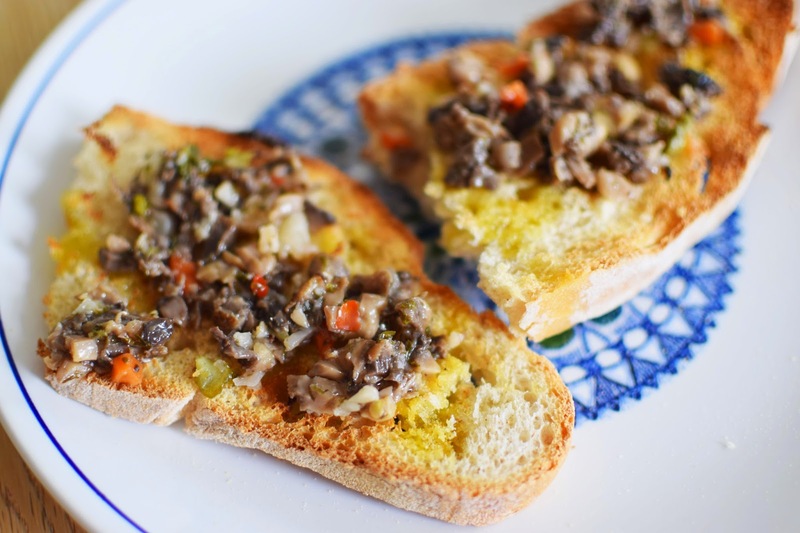 I toasted the bread, drizzled it with olive oil, shook on garlic powder and topped it with the bruschetta. Simple and tasty. 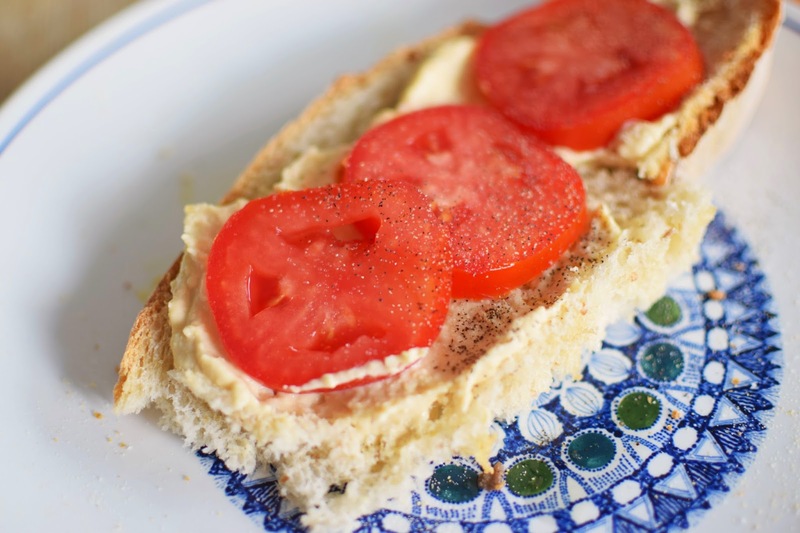 Another day, I topped Italian bread with hummus, tomato slices and salt and pepper. Another simple and yummy snack. We had leftover breaded tofu for lunch yesterday. 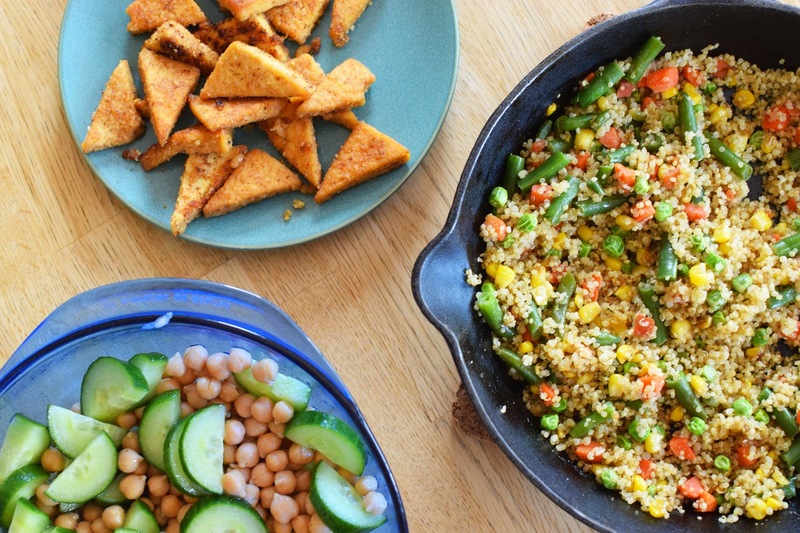 I also prepared quinoa with vegetables and a chickpea cucumber salad with vinaigrette. 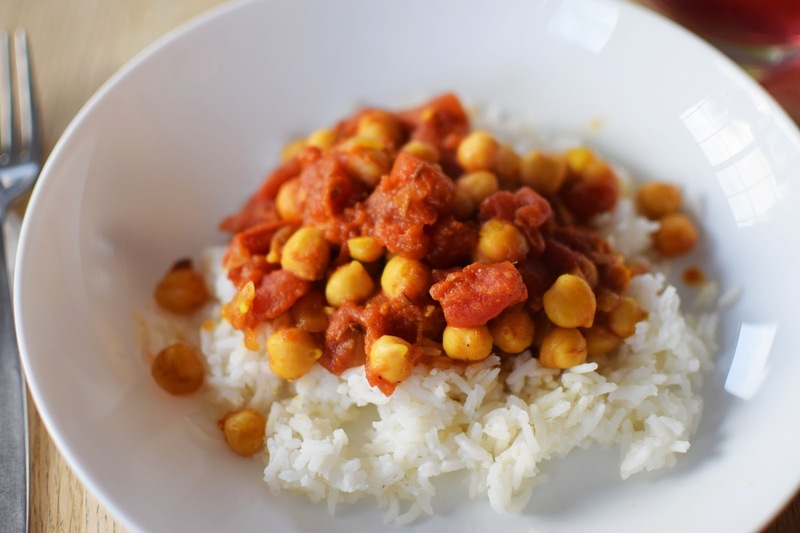 Yesterday's dinner was quick chana masala from The Oh She Glows Cookbook, and more of the cucumber chickpea salad. I know, it's a lot of chickpeas in one day. But it can't hurt, can it? 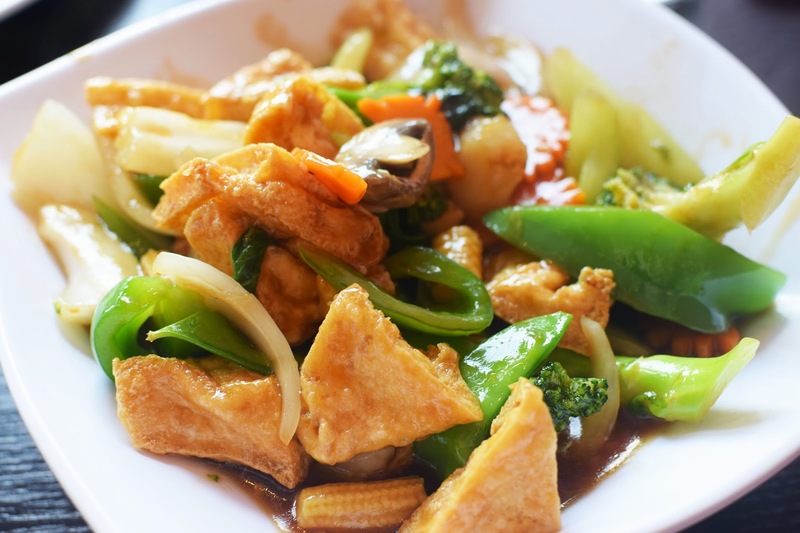 Have you been to any great restaurants lately? I want some of those cupcakes in my office this morning!!! Your food looks good enough to be in a restaurant! Yum! I love the Oh She Glows Cookbook. Angela is a star! Oh man, this is the best what i ate wednesday ever. I want EVERYTHING. Especially that wrap. Oh wow. 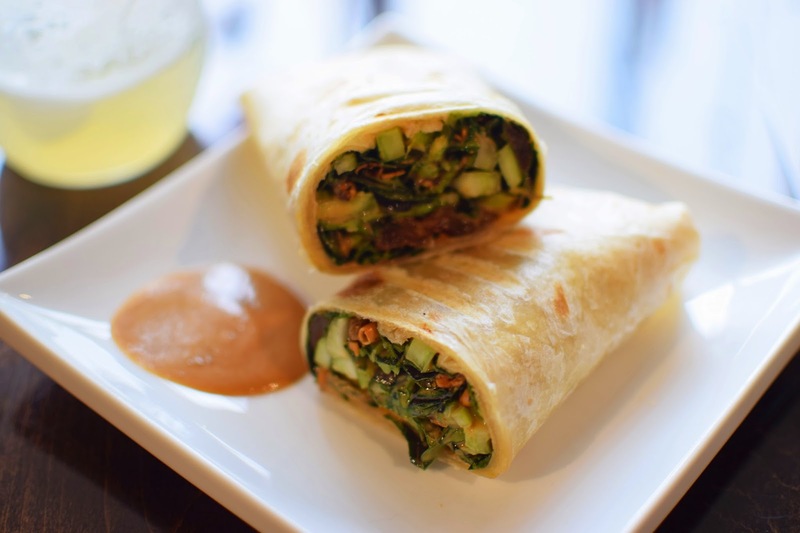 You had me at vegan Thai peanut slaw wrap! !